He was born Robert Allen Dickey on October 29, 1974. Like his grandfather, who was called by his initials, he became known as R. A. He knew poverty and remembers his parents stealing flatware from the Western Sizzlin’ restaurant. His alcoholic mother and emotionally absent father divorced when he was three years old. R. A.’s childhood and adolescence was full of struggle and conflict. He was a fierce competitor and regularly involved in fights. It was not unusual for him to sleep in his car or at friend’s house, or to break into vacant houses and spend the night there. He was sexually abused by a thirteen year old babysitter when he was eight years old and later by a teen-aged boy. His athletic ability brought satisfaction and a sense of self-worth to this Nashville native as he grew up. He was an English literature major at the University of Tennessee where he had a 3.35 GPA and was named Academic All-American and Academic All-SEC. He was also a star athlete as a football quarterback, basketball forward and baseball pitcher. 1996 was a banner year for R.A. He was a member of Team USA in the Olympics. He was picked in the first round of the Major League Baseball draft by the Texas Rangers. After being drafted, he was initially offered a signing bonus of $810,000. 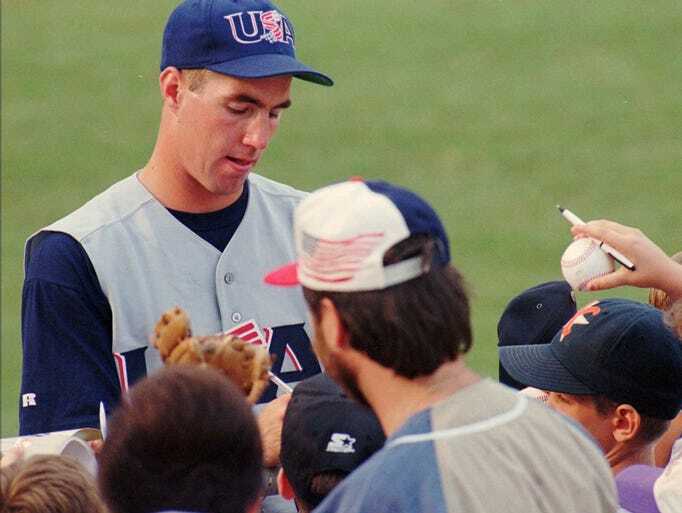 But Rangers trainer Danny Wheat saw his throwing (right) arm hanging oddly in a picture of him with fellow USA starting pitchers in Baseball America. In his autobiography, R.A. describes his feelings as he sat in the GM’s office and heard his words. “I don’t feel devastation, or even anger. I feel rage. Complete rage. It feels as if it starts in my toes and blasts up through my body like a tsunami, into my guts and right up through the top of my head. “I have an urge as primal as anything I have ever felt….But I do not lift a finger. I do not leave my chair. It’s as if there is a strong hand on my shoulder holding me back, giving me pause. In that instant I have a self-control that was not there a moment earlier. This is the place where the music swells and you get the feeling that all is well. Not so. The next several years brings momentary success and significant failures for R.A. He travels a long road filled with disappointments and struggles- 11 years in the minor leagues. One writer said, “Despite being twice consigned to baseball’s scrap heap Dickey battled back. 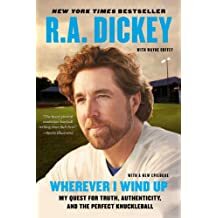 Sustained by his Christian faith, his wife and children, and a relentless quest for self-awarenes” he finally achieved his life-long goal of being a Major League baseball player. 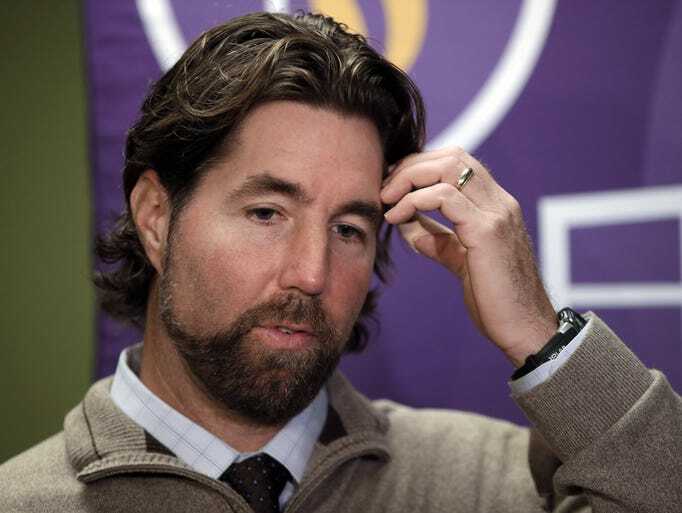 In 2012, Dickey was selected to his first All-Star Game, won the Sporting News Pitcher of the Year Award, and became the first knuckleball pitcher to win the Cy Young Award. As a conventional Major League pitcher R.A. was marginally successful. 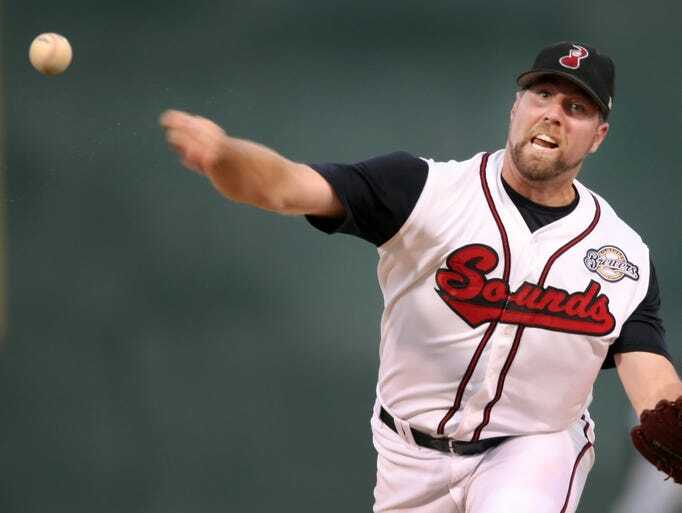 After advice from his manager and pitching coach, he focused on becoming a knuckleball pitcher. 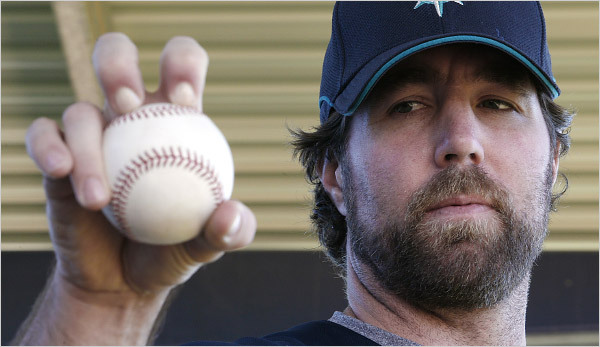 As of the 2017 season, Dickey (now with the Atlanta Braves) and Boston Red Sox pitcher Steven Wright are the only two active players in the majors who use the knuckleball as their primary pitch. The Holy Spirit’s words, “I’ve got you,” in 1996 was not a promise that everything would be easy. However, they were words of assurance to R.A. that he was not alone and no matter what happened it would be okay.